My Sanford Magazine is the first lifestyle publication dedicated solely to Sanford, Florida. Our mission is to share inspiring content that encourages participation in our beautiful, diverse community. 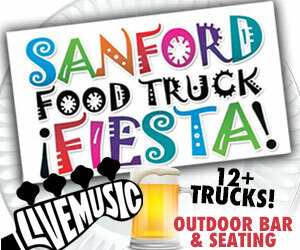 We love our city and strive to spark an interest in Sanford’s past, present, and future. My Sanford Magazine is published quarterly, with each issue featuring local businesses, events, and real stories of people in the community. Sections of the magazine are also translated into Spanish, making My Sanford Magazine the only bilingual magazine in town. Perla B.Crosby is the founder, editor in-chief, and publisher of My Sanford Magazine. Her goal was to produce a local magazine that would foster unity and promote good will in Sanford’s culturally diverse community. This was accomplished, and the magazine has been declared a resounding success. Perla also conceived and brought to fruition the Sanford Tourism Office and serves as its first Chairperson. Proceeding her long career as a Diplomat in Rome, Italy. She served as the Director General of Tourism in Italy, where she also founded a successful Tourism and Business Magazine.